Captain Nutty is the bravest squirrel in the world. That's why he was selected for a special mission to collect nuts for the winter for all the squirrels. 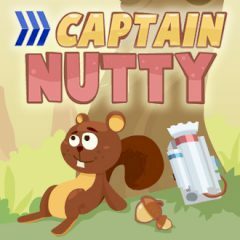 Help him fly as far as possible, collect nuts and coins to buy upgrades. Pick up bonuses to get extra powers.